Dr. Bosh is a senior lecturer in planetary science at MIT and an adjunct astronomer at Lowell Observatory in Flagstaff, AZ. Her research focuses on Pluto's atmosphere and how it evolves in response to its changing distance from the sun. In her research, she forges collaborations with astronomers around the globe, while managing extremely time-critical projects. She is the co-creator of an innovative astronomy outreach program that aims to capture and maintain interest in science among Navajo and Hopi middle school children. She volunteers with several local animal rescue organizations. Amanda received her Ph.D. from MIT in planetary science, as well as S.B. degrees from MIT in planetary science and in materials science and engineering. Her son Max graduated from WSL in 2016. 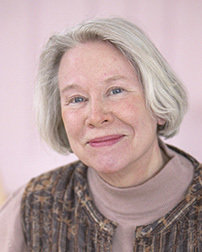 Ms. Minotti is a Visiting Artist at the Center for Women's Health and Human Rights at Suffolk University and Founder of the Women’s Writing Circle. She is an award-winning web designer, information architect, researcher, and writer. 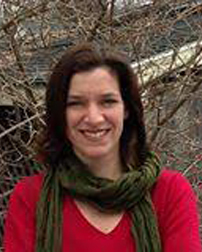 For 17 years, Ms. Minotti worked at Education Development Center, Inc. (EDC) in a variety of technology, research, and leadership roles for projects that focused on health and human development, special education, literacy, bullying-prevention, urban education, science, assistive technology, and inclusive schooling practices. She is Co-Creator of The World's Very First Gratitude Parade and helped establish Gratitude Day in the City of Cambridge, MA. Ms. Minotti is a graduate of Boston University (B.S.) and Columbia University (M.A., M.Ed.) and holds certificates in Wholebeing Positive Psychology, Transformational Language Arts, Distance Education, and Herbal Studies. Ms. Minotti is co-chair of the Diversity and Inclusion Committee and co-founded the Diversity Book Club at WSL. She has a child at WSL and another who graduated in 2018. After graduating from Colby College with a B.A. in art history, Ms. Ames earned her MBA at Boston University’s Questrom School of Business. Ms. Ames’ has held numerous senior positions in environmental and public policy, including director of environmental policy for the office of state senator Pam Resor, director of government relations at Brookfield Renewable Energy Group, and director of community and stakeholder relations at Brookfield. Ms. Ames also ran operations and finance for Cocoa Santé, an entrepreneurial venture. Ms. Ames is currently the executive director of Low Impact Hydropower Institute, a non-profit dedicated to reducing the impacts of hydropower generation. Ms. Ames previously served as WSL’s board vice president and president and has two children enrolled at the school. Mr. Mitcheson is a personal injury attorney and a partner at the law firm Mitcheson & Lee, LLP. He has been recognized by Massachusetts Super Lawyers as a Rising Star in the field of personal injury law every year since 2015, an honor given to just 2.5% of lawyers in the state. He was also selected as one of the Top 40 Under 40 Plaintiff's Lawyers by the National Trial Lawyers for his superior qualifications, trial results, and leadership. Mr. Mitcheson received his J.D. from Northeastern University School of Law and his B.A. from St. John’s College. Both he and his wife attended WSL as children, and their young son is currently enrolled in the school’s Parent-Child program. Mr. Ayan is the director of investment risk and global multi-asset strategies at Wellington Management, where previously he served as a portfolio analyst and business analyst. Before joining Wellington, Mr. Ayan was a systems analyst for Putnam Investments and a systems analyst for Brown Brothers Harriman. Mr. Ayan holds an MBA from MIT’s Sloan School of Management and a BSBA in computer science and operations management from Boston College. His three children attend WSL. Mr. d’Anjou is currently Director of MSAT (manufacturing science and technology) at Bluebird Bio, where he previously served as Director of Pharm Sci Regulatory Strategy. Mr. d’Anjou has also held senior positions at Bristol-Myers Squibb, ClycoFi, and Merck. Mr. d’Anjou earned a B.Sc.E in chemical engineering and an M.Sc. in biochemical engineering from Queen’s University. Mr. d’Anjou’s two children attend the Waldorf School of Lexington. 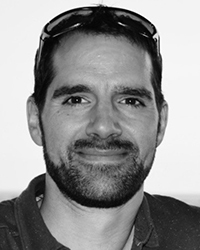 Mr. del Angel is currently Sr. Director for Data Science, Genomics and Bioinformatics at Alexion Pharmaceuticals in Boston, where he has been leading research around how best to use artificial intelligence and genetics to improve rare disease treatment. He previously held positions as a consultant at McKinsey & Co. in Mexico City and Boston, and as a computational biologist at the Broad Institute of Harvard and MIT in Cambridge, MA. He is a WSL alumni parent, and both of his children attended the school since nursery. He has served as Treasurer for the Parent Community Association (PCA), he co-founded the PCA Dads group, and served as 8th grade class parent. An avid cellist and classical musician, he has been a member of the New Philharmonia Orchestra since 2008 and has played with several amateur and pre-professional ensembles in the area. A native of Mexico City, Mr. del Angel originally trained as an electrical engineer and applied mathematician, earning a BS degree from ITESM in Mexico, a MS from Boston University and a Ph.D. from Cornell University. Mr. Grace received a B.A. in American history from Harvard, followed by an M.A.T. in secondary social studies from the Harvard Graduate School of Education. Mr. Grace went on to earn a Certificate of Advanced Study in school administration from Fairfield University and did graduate work in early childhood education at Wheelock College. Mr. Grace taught high school social studies for a number of years, eventually arriving at St. Luke’s School in CT, where he served as Assistant Headmaster. Mr. Grace has led a number of schools, including The McLean School of MD, Chapel Hill-Chauncy Hall, Touchstone Community School, Blue School in NY, and Thacher Montessori. Mr. Trostli is the founder of On Point Business Development, a leadership and management consulting firm that helps guide and scale growing businesses. In addition to his extensive global business background, Mr. Trostli also brings to the board a deep knowledge of the principles and foundations of Waldorf education. After attending the Escola Waldorf in São Paulo, Brazil, Mr. Trostli earned a BBA in administration from the Pontifícia Universidade Católica de São Paulo. He later earned an MBA in finance and marketing from the Wharton School at the University of Pennsylvania. Prior to launching On Point, Mr. Trostli founded a company that developed affordable housing in Brazil, creating housing for thousands of people. After attending the Pine Hill Waldorf School and St. Mark’s School, Ms. DiSalvo-Ryan earned an A.B. from Bowdoin College in art history and education. She has worked in HR and recruiting, served on several non-profit boards, and assisted her alma matters with development and alumni outreach. Ms. DiSalvo-Ryan has four children, who are enrolled at WSL. Mr. Liska is the director of product management at Cardinal Health. Previously he served as the director of product management and development as well as chief product strategist at iCIMS Labs. Mr. Liska also founded Jobmagic, which was acquired by iCIMS, and before that worked as the VP of product management and business intelligence at Iconics. Mr. Liska holds a Ph.D. in engineering and artificial intelligence from Clemson University. His two children attend WSL. Ms. Restuccia is the owner of Gardens by Demetra, an endeavor that grew from her lifelong passion for organic gardening, design, and habitat building. Her landscapes never rely on pesticides, herbicides, or chemical fertilizers, but instead emphasize native plants, which offer beneficial habitat to native insects, butterflies, and birds. Ms. Restuccia earned a B.A. in theater from Amherst College. Her son graduated from WSL. Mr. Thiruvallur is a healthcare strategist with global brand strategy, product launch and general management experience. He is currently Sr. Director and Strategic Marketing Lead (North America) for the Neurology & Immunology franchise of EMD Serono, responsible for the successful launch of critical late stage assets with blockbuster potential. Previously Mr. Thiruvallur worked for Bayer for over 13 years across business consulting, healthcare and technology services. Mr. Thiruvallur was born and raised in Chennai, India. He received his B.Tech and MS degrees in chemical engineering from the University of Madras and West Virginia University respectively, and an MBA with specialization in strategy, marketing and corporate finance from New York University. Mr. Thiruvallur resides in Lincoln with his wife and three children. Their oldest two attend the Waldorf School of Lexington and look forward to their youngest joining soon. Mr. Weeks is an entrepreneurial general manager and business strategist with a passion for bringing disruptive clean energy technologies to market. 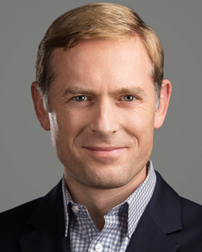 He currently serves as Vice President and General Manager for EnerNOC’s North America demand response and distributed energy resources business, which is focused on connecting and monetizing all types of distributed energy assets (solar, battery storage, electric vehicles) with electricity markets to maximize savings, ensure resiliency, and increase sustainability. Since joining EnerNOC in 2009, Mr. Weeks has held various regional and global roles in strategy, sales, and operations. Prior to joining EnerNOC, he worked in Deloitte Consulting’s Strategy & Operations practice. Mr. 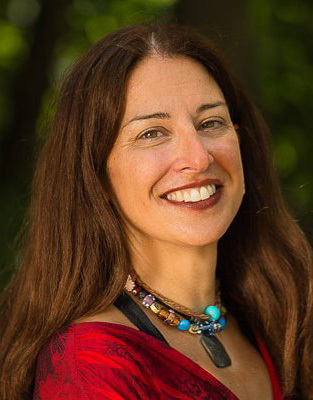 Weeks attended the Waldorf School of Lexington from kindergarten to third grade and is a graduate of the Pine Hill Waldorf School, ConVal Regional High School, Dartmouth College, and Harvard Business School. He has two children at the Waldorf School of Lexington, and is enjoying experiencing the Waldorf curriculum for a second time through the eyes of his children. Mr. Woll is a nurse practitioner in emergency medicine at Lahey Hospital and Medical Center, where he has worked for three years. Previously he worked in several of the Massachusetts State Prison system’s medical clinics. Mr. Woll graduated from Dartmouth College and spent a decade coaching men’s crew. After earning an M.Ed. in elementary education, he went back to school to prepare for a second career in medicine, graduating from Regis College with a master’s degree in nursing in 2012. Mr. Woll has had a long-standing interest in underserved populations and end-of-life care. His contributions in this area include volunteering at Chilton House, a local hospice program; helping to establish a palliative care visitor program at Beth Israel Deaconess Medical Center; and volunteering for a rural health clinic in Carmen Pampa, Bolivia. In addition to his work in emergency medicine, Mr. Woll also provides health care at Boston Health Care for the Homeless. Mr. Milko is head of procurement at Cimpress, a global leader in mass customization, where he was previously the global commodity manager. Mr. Milko has also served as a senior consultant and project manager for Agentrics, and a global sourcing and product development manager for Staples. He holds an MBA from Rotterdam School of Management at Erasmus University, a B.S. in agricultural engineering from the University of Sao Paulo, and a certificate in new product development from Harvard University. Ms. Tamir is an attorney with a masters in international law. She is the Special Advisor for Oxfam America’s Private Sector Department, where she works with companies to ensure that their business practices result in positive social and environmental impacts for vulnerable communities throughout the world. 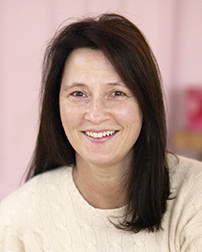 Most recently, her work has been focused on the food and beverage industry and advocating for better policies and practices that will lead to global food security. She is the policy lead for Oxfam International’s Behind the Brands campaign. Prior to working at Oxfam, Ms. Tamir was the Director of Government Relations at the Jewish Community Relations Council of Greater Boston, and she co-led the effort to pass the Sudan Divestment Bill in Massachusetts. She also a board member of the Women’s Bar Foundation in Boston. 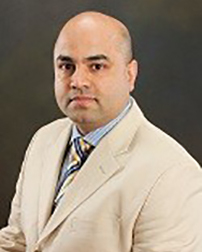 Mr. Ayan is the director of investment risk and global multi-asset strategies at Wellington Management, where previously he served as a portfolio analyst and business analyst. Before joining Wellington, Mr. Ayan was a systems analyst for Putnam Investments and a systems analyst for Brown Brothers Harriman. Mr. Ayan holds an MBA from MIT’s Sloan School of Management and a BSBA in computer science and operations management from Boston College. Mr. Kydd is a managing partner at Kneeland & Kydd, where he evaluates and prepares trial materials for state and federal courts. 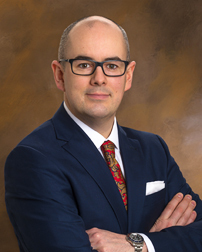 Mr. Kydd also tries complex personal injury insurance coverage and business cases through trial and post-trial appellate practice and handles daily strategic business decisions for the practice. Mr. Kydd earned his J.D. in litigation and insurance from New England School of Law and a B.A. in economics from Colby College. Mr. Kydd’s two children graduated from WSL. Amanda is a lecturer in planetary science at MIT and an adjunct astronomer at Lowell Observatory in Flagstaff, AZ. Her research focuses on Pluto's atmosphere and how it evolves in response to its changing distance from the sun. In her research, she forges collaborations with astronomers around the globe, while managing extremely time-critical projects. She is the co-creator of an innovative astronomy outreach program that aims to capture and maintain interest in science among Navajo and Hopi middle school children. She volunteers with several local animal rescue organizations. Amanda received her Ph.D. from MIT in planetary science, as well as S.B. degrees from MIT in planetary science and in materials science and engineering. Her son Max graduated from WSL in 2016. Mr. Liska is the director of product management and development at iCIMS Labs, where previously he served as chief product strategist. Mr. Liska also founded Jobmagic, which was acquired by iCIMS, and before that worked as the VP of product management and business intelligence at Iconics. Mr. Liska holds a Ph.D. in engineering and artificial intelligence from Clemson University. His two children attend WSL. 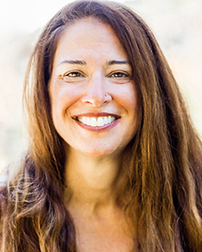 Jennifer Minotti has over 20 years of experience in communications, instructional technology and media, research, and writing. For 17 years, Jen worked at Education Development Center (EDC) in a variety of roles for projects that focused on health and human development, special education, literacy, bullying-prevention, urban education, science, assistive technology, and inclusive schooling practices. She founded the Women’s Writing Circle and was co-director of The World’s Very First Gratitude Parade. Currently, she is a visiting artist at the Center for Women’s Health & Human Rights at Suffolk University, merging her passions for expressive writing, psychology, community building, women’s health, and social activism. Jen is a graduate of Boston University (B.S.) and Columbia University (M.A., M.Ed. ), holds certificates in Whole Person Positive Psychology and Distance Education, and has taught graduate level courses. Mr. Polyak is a fund manager of Emerging Market equities for Fidelity Investments. Over the past 20 years, he has worked in international capital markets of Oppenheimer Funds, Pioneer Investments, Ruesch International and Ninth Wave Capital (a firm he co-founded prior to joining Fidelity). He speaks fluent Russian and has a B.A. from UMass in Amherst and an MBA from New York University. An immigrant from Moldova, Mr. Polyak has been involved with a number of non-profit organizations that include: Odyssey House Mentoring in New York City (former President), the Cairn Hill Waldorf-inspired afterschool program in Malden, MA (former board member), Belmont sports (coaching basketball, baseball, and softball), and Citizen School inner city after-school mentoring program in Boston, MA (current Citizen Teacher). Along with his spouse, Christina, he is involved in the WSL community and has children in the school. Ms. Restuccia is the owner of Gardens by Demetra, an endeavor that grew from her lifelong passion for organic gardening, design, and habitat building. Her landscapes never rely on pesticides, herbicides, or chemical fertilizers, but instead emphasize native plants, which offer beneficial habitat to native insects, butterflies, and birds. Ms. Restuccia earned a B.A. in theater from Amherst College. Her son attends WSL. Mr. Schiappacasse is an education leader with three decades of experience in Waldorf education. He has served as Director of the Greenwood School in Mill Valley, California; President at Sunbridge College in New York; and Administrative Director of the Shining Mountain Waldorf School in Boulder, Colorado, where he worked for 13 years. Robert has served on the Leadership Council of the Association of Waldorf Schools of North America (AWSNA) and has done extensive work providing professional development for Waldorf school administrators and school leaders. Mr. Schiappacasse's three grown children attended Waldorf schools beginning in preschool. Mr. Woll is a nurse practitioner in emergency medicine at Lahey Hospital and Medical Center, where he has worked for three years. Previously he worked in several of the Massachusetts State Prison system’s medical clinics. Mr. Woll graduated from Dartmouth College and spent a decade coaching men’s crew. After earning an M.Ed. in elementary education, he went back to school to prepare for a second career in medicine, graduating from Regis College with a master’s degree in nursing in 2012. Mr. Woll has had a long-standing interest in underserved populations and end-of-life care. His contributions in this area include volunteering at Chilton House, a local hospice program; helping to establish a palliative care visitor program at Beth Israel Deaconess Medical Center; and volunteering for a rural health clinic in Carmen Pampa, Bolivia. In addition to his work in emergency medicine, Mr. Woll also provides health care at Boston Health Care for the Homeless Program in Boston. Ms. Zawel left a successful career in consulting to become the owner of Get In Shape for Women in Belmont. The shift combined Ms. Zawel’s professional training and strengths with her passion for fitness, nutrition, and empowering women. Previously Ms. Zawel was a partner at The Clarion Group, a senior consultant at TSI Consulting Partners, and executive director of the International Alliance to Promote the Health Benefits of Legumes and Other Pulses. Ms. Zawel has a Ph.D. in food science from Rutgers University and a B.S. in food science from the University of Wisconsin-Madison. Her two children attended WSL.